Fatberg is a lovable sewer blob created by illustrator Nathan T. Wright. He first appeared in the children’s picture book THE ADVENTURES OF FATBERG and his story continues in the pages of Water Canada magazine and a webcomic. In 2013 I learned about the phenomenon of Fatbergs: giant, congealed lumps of cooking fat and wet wipes clogging London’s sewers. The subject was grotesque but fascinating. While Fatbergs are notorious for wrecking municipal infrastructure, they also have potential as renewable energy sources. I imagined Fatbergs as friendly, misunderstood creatures and began sketching out a character and narrative. This evolved into writing, illustrating and self-publishing the children’s picture book THE ADVENTURES OF FATBERG. The story follows a Fatberg driven out of the sewers and into the streets of London, where he attempts to fit in with humans. The Fatberg learns that no matter what the world says about him, he can still make a big difference! The Fatberg character has become well-known in the wastewater community since the book’s release. 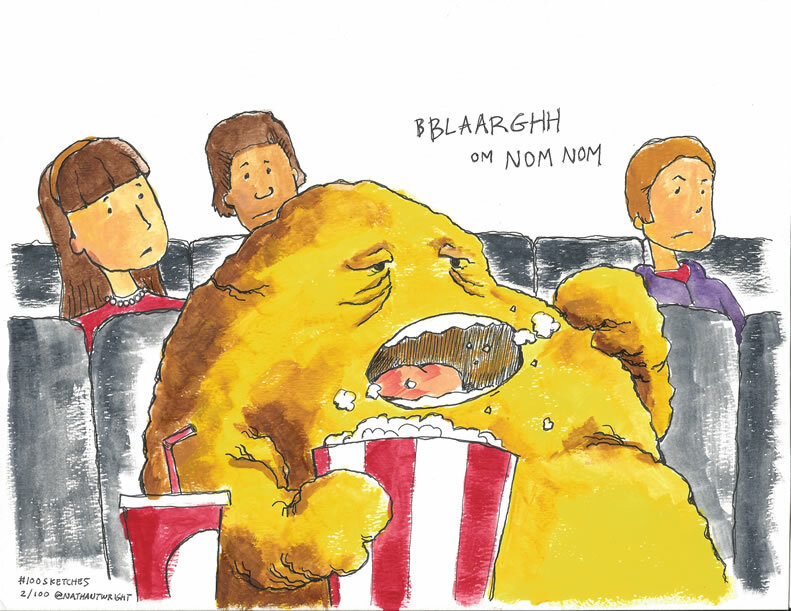 Fatberg serves as a spokesblob for SwiftComply, appears in public education campaigns for the City of London and Barry Orr, and stars in a recurring comic strip in Water Canada magazine. His escapades continue at FATBERGcomic.com. "A poignant story about an unlikely hero..."
"...my kids LOVED the story and the artwork"
"A fun book with fun illustrations"
Want a signed copy? Contact me!